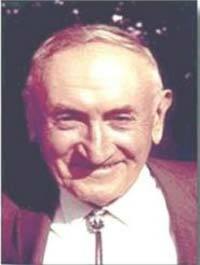 Fritz Zwicky was a Swiss astronomer who worked most of his life at the California Institute of Technology. He is known for his many important contributions in theoretical and observational astronomy. Zwicky was born on February 14, 1898, in Bulgaria to Swiss parents. He was the oldest of three children. At an early age of six, he was sent to live with his grandparents in Glarus, Switzerland. While there, he studied commerce. But later, his interest shifted to math and physics. At Swiss Federal Institute of Technology, he received his advanced education in mathematics and experimental physics. Zwicky migrated to the United States in 1825. After receiving the International Fellowship from the Rockefeller Foundation, he worked at the California Institute of Technology with Robert Millikan. In this institute, he was responsible for the positioning of several cosmological theories that had a great impact on the general understanding of the universe. In 1924, he was appointed Professor of Astronomy and he also worked as a consultant for the Aerojet Engineering Corporation. Zwicky was fascinated with cosmic rays. With the help of his colleague, Walter Baade, he pioneered the use of the very first Schmidt telescope that was used in mountaintop observations in 1935. He personally carried the lens from Germany which had been polished by Bernard Schmidt, an optician. In 1934, together with Baade, he came up with the term “supernova” and hypothesized that this was the transformation of the normal stars into the neutron stars and the origin of the cosmic rays. Zwicky later started hunting for supernovae and he was able to find a total of 120. In addition to coining the word “supernova,” Zwicky and Baade suggested the use of supernovae as standard candles that can be used to estimate distances in the deep space. In addition, Zwicky also hypothesized that the galaxy clusters could actually act as gravitational lenses, which was by the previously discovered Einstein effect. This effect was later confirmed in 1979 by Twin Quasar observation. After discovering neutron stars, Zwicky considered nuclear goblins. According to him, goblins could move within a given star and then explode violently as they get to a less dense region towards the star’s surface. This served to explain the eruptive phenomena like flare stars. He also produced the artificial meteors and even considered the possibility of rearranging the universe. While studying Coma galaxy cluster in 1933, Zwicky was the first person to use the viral theorem to deduce the existence of the unseen matter. This was referred to as the ‘dark matter’. After calculating gravitational mass of galaxies within the cluster, he obtained a value that was 400 times greater that than expected luminosity. He concluded that most of matter must be dark. In 1949, Fritz Zwicky was awarded the Presidential Medal of Freedom for his work on rocket propulsion during the Second World War. He was also awarded the Gold Medal of Royal Astronomical Society in 1972, which is the most prestigious award an astronomer can receive. Zwicky died in California on February 8, 1974, at the age of 75. His body is buried in Switzerland.